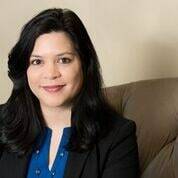 Cheryl Terrell | Nashville Accident Lawyers The Law Offices of John Day, P.C. Hobbies: Crafts, spending time with family and friends, photography. Best Part of My Job: Helping injured clients and their families, researching medical topics and being constantly challenged. Three of My Favorite Things: (1) Spending time with friends and family; (2) Traveling; (3) Good food.